Wicked Queer, Boston's LGBT Film Festival is proud to continue our relationship and support of the Queer Women of Color Media Arts Project in San Francisco. We are excited to present the latest and greatest of films by, for, and about queer women of color. A young queer woman is grateful for a Haven as she balances pain and secrecy with the expectations of social performance. Dir. N/A Oparah. 5 min. USA. 2016. Illusions, intentions and unspoken needs bubble up through She Did It For Me. Dir. Sabaa Zareena. 3 min. USA. 2016. A 16-year-old and his mother take to the road in a race to make sure his father’s body can be consecrated in El Camino. Dir. Alexander Lee. 17 min. USA. 2016. 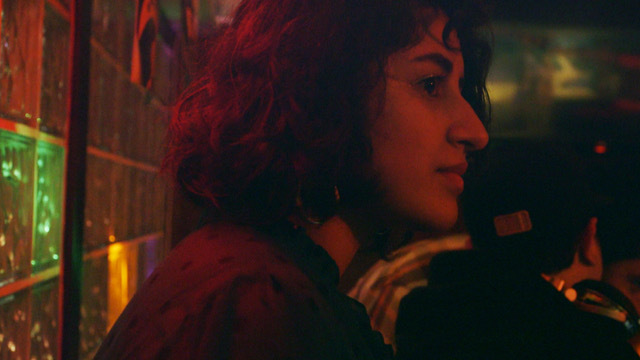 Breaking the trance of gender roles and revealing yourself is sacred in Conmigo. Dir. Dan Fernandez Arredondo. 4 min. USA. 2016. Catalina cherishes her past as she gets ready to face a new day. Dir. Yahaira Carrillo, Nulah Farah. 4 min. USA. 2016. Three queerdos pay homage to their stories across Divisible Lines in the shadow of family & freedom, land & war, loss & resiliency. Dir. Zachariah Barghouti, Alina Bee, Khosru Huda, Shahrnaz Sedghipour. 8 min. USA. 2016. It’s all mysterious misadventure in A Day in the Life of Pencilman. Dir. Francisco Figueroa. 5 min. USA. 2016. In a flash, a bisexual Chicana navigates Fantasy Freakouts with friends, family, and potential lovers. Dir. Natalie Arias, Kaira Espinoza. 4 min. USA. 2016. A lovely introverted mermaid needs #femmemagic to come to her rescue. Dir. Crystal Barajas Barr, Antoinette Myers, Lindsay Rodriguez. 4 min. USA. 2016. Queer and trans people sanctify public space amidst gentrification in Que Siga La Cumbia. Dir. Candy Guinea. 8 min. USA. 2016. Family Builders is a heart-warming documentary that celebrates the important magic of loving families for children and youth in foster care. Dir. QWOCMAP productions. 10 min. USA. 2016.